Rogers Bros. silverware dates to the early 1800s when it was founded by William, Asa and Simeon Rogers. By the mid-1800s, Rogers Bros. silverware became popular as it perfected the groundbreaking process of electroplating silver dishes and utensils. The company was sold to International Silver Co. in the late 1890s. Rogers Bros. silverware is highly sought after by antique silver collectors and aficionados. Like any antique silverware, dating and authenticating Rogers Bros. silver is challenging if you don't know what to look for. Examine the design on each silver piece. An elaborate design indicates that the piece was made before 1900. 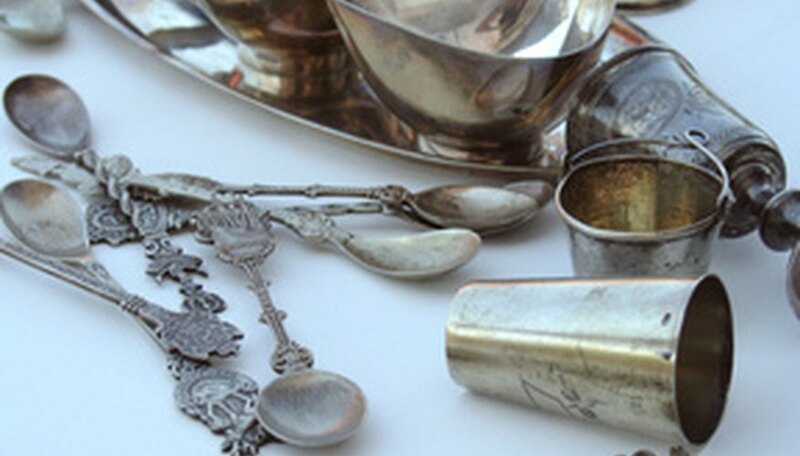 After Rogers Bros. was bought in 1898, the International Silver Co. simplified the design on all silver pieces. Look for specific patterns on the silverware. For instance, a popular piece manufactured in the 1930s features a design with interlocking rectangles. Search the bottom side of each silver piece for the Rogers 1847 logo. All pre-20th century silver pieces have the original Rogers Bros. logo indicated by an "XS" or "AL" stamp next to the logo. An "IS" stamp indicates the piece was made after the International Silver Co. bought Roger Bros.